We strive for Excellence in providing Exceptional, Professional Customer Service, High Quality custom bottled water and Fast Order Turn Times. That is our goal. We want to make your Custom Bottled Water buying experience enjoyable and stress free! So that after we’ve completed your order you say to yourself, “I am extremely happy I chose The Water Depot to partner with on this project… I will use them again and recommend them to others!” This is and will remain our goal on each and every order we do, small or large. Who woulda thunk it? Putting water in a bottle to sell — and then the vision to see Advertising on the bottle as well? Innovative and effective! That’s where The Water Depot, Inc. comes in. Since early 2003 TWD has produced, labeled and sold custom label bottled water to thousands of businesses and individuals who have the same vision as the early creators of this marvelous advertising medium. These folks want to put their personally created message in people’s hands, quickly, at an inexpensive per unit price, and delivered to the end user effectively. The list of message opportunities ranges from (A)nniversaries to (Y)oga, with a (Z)oo label thrown in here and there just for fun, and everything else in between. Our customer base includes many auto dealerships; sports, massage and fitness clubs; churches; dentists and chiropractors; landscapers; and caterers, to name just a few. The Water Depot, Inc. satisfies all their personalized water bottle needs. The Water Depot, Inc. learns of a need for custom, private labeled water bottles from any of the 130,000+ distributors/salespeople that we work with. Our speedy, comprehensive, competitive price quotes, and fast order turn times set us apart from the rest. The distributors trust that we will handle their requests with the immediacy, accuracy and price consciousness that they demand for themselves, and for their customers, because our history of actions speaks volumes about who we are. It’s why much of our business with them is for ‘repeat’ orders. Once the distributor places an order with TWD, we begin the process by working closely with them, or their customer, if they prefer, to obtain artwork approval. 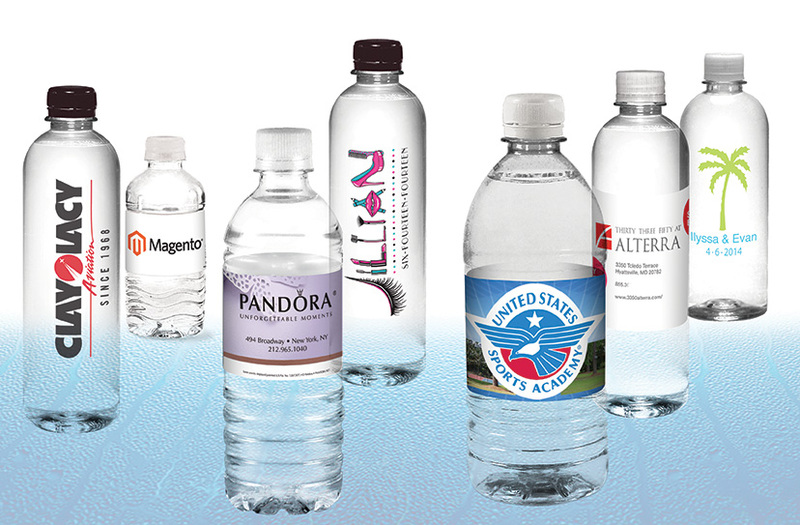 We immediately line up label printing from one of our flexo or digital label printers, and schedule the production at one of our bottling/production plants located all across the country, the plant that best accommodates bottle size, cap preference, and shipping destination that is dictated for the order. The available carriers, or shipping options, are determined based on what quantity is being shipped and to what part of the country it is being delivered. We choose from an in-exhaustible list of freight vendors that work with us to efficiently handle our customer’s highly prized freight. After all, it is the customer’s very own creation wrapped around that bottle of water that we are handling—and we do not take that lightly. We religiously track the movement of our customer’s order, printing, production and shipping until the custom label bottled water is in the hands of the end user. We often hear from the distributor/customer telling us how they appreciate the great customer attention to detail that we have provided—and they have come to expect. That makes us feel ‘warm and fuzzy’ because, after all, it is our stated goal. The customer is, obviously, first in everything we do. To maintain that high goal, we strive to make our customer service second to none by responding to calls and emails promptly, by fairly pricing our products, and by addressing all concerns immediately, and thoroughly, to the satisfaction of the customer. We earned, and are currently ranked, a “Perfect 5 Star Rating for The Best Customer Service” in our industry because of our performance. That’s no accident. We work hard every day to maintain this prestigious ranking. Please give us a try. We believe you, also, will find we do a good job. Order turn time is 5-7 days after your artwork proof has been approved. We send you a proof the same day you send us the artwork. We also do RUSH ORDERS in 2-3 days (Rush Charges may apply). Shipping time in transit is 1-3 days depending on ship to location. © 2019 The Water Depot. All Rights Reserved. Website designed by Alt Media.